Harting brings ethernet and power down to circuit board level with its M8 D-Coded PCB connector with power over ethernet. 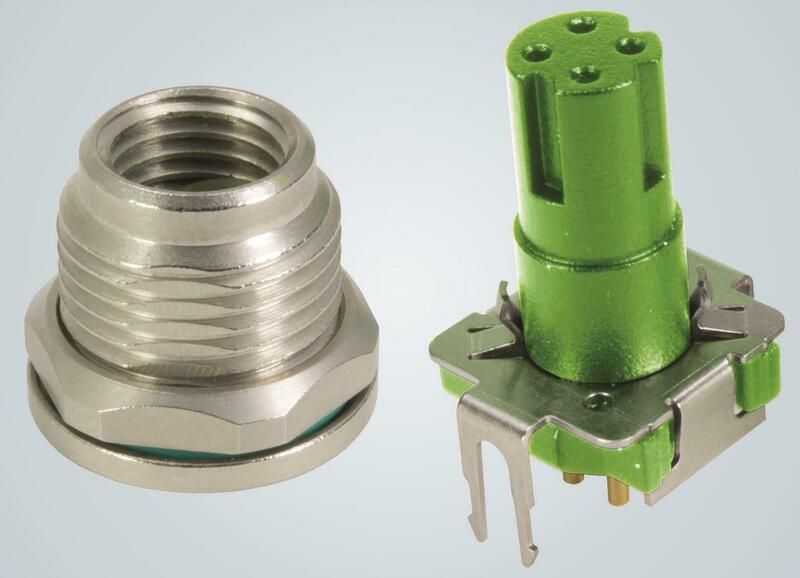 Manufacturers of industrial devices have been following the trend for miniaturisation for some time now, but what if they can’t make their product smaller because the required connector is too big? HARTING addresses this problem with its new M8 in D-coded product. Fast Ethernet and PoE via an individual miniaturised interface straight to the circuit board – a big space saving for customers. And components don’t just need to be smaller – they also need to speak a single language end-to-end, right down to the last sensor: Ethernet, Power and Data are the vital lifelines, but two separate connections are now a luxury from back in the days of bigger housings. This means that PoE is the number one prerequisite for supplying both lifelines via a single interface.